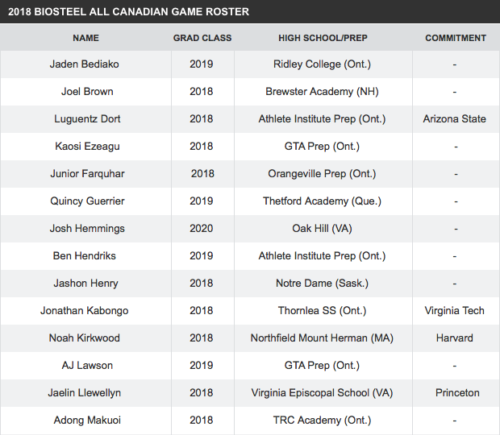 The roster for the 2018 BioSteel All-Canadian Game was announced ahead of the annual showcase for Canadian high school basketball talent on Monday, April 9 at the University of Toronto’s Goldring Centre. This year’s game features a large contingent of talent from the Ontario Scholastic Basketball Association (OSBA), along with a variety of prep schools from the United States. The field this year is led by Athletic Institute Prep guard and defending BioSteel All-Canadian Game MVP Luguentz Dort. Dort is an Arizona State commit who is in his final season playing in the OSBA and is looking to successfully defend his MVP win from a year ago. Orangeville Prep scoring machine and Toledo commit Keshaun Saunders is also back for his second straight year, looking to showcase his skills a little more after only playing 11 minutes in last year’s game. Last year’s game was a back and forth offensive showcase, as is usually the case in these types of events. Team Red ended up coming out with the victory in the contest 153-135 led by 30 points from Dort and 27 from Orangeville Prep star and Michigan commit Ignas Brazdeikis. Brazdeikis will not be partaking in this year’s event as he has committed to playing in the Nike Hoops Summit in the summer. Team White was led by Oshae Brissett, formally of Athletic Institute Prep now currently playing for Syracuse University, and Nickeil Alexander-Walker, who at the time was playing for Hamilton Heights Christian Academy and now is currently playing for Virginia Tech. 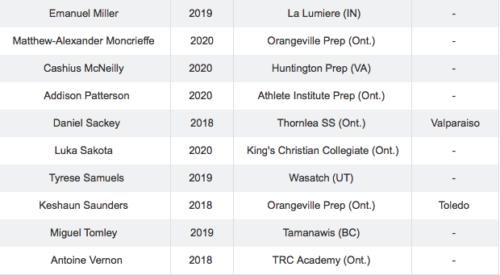 There are a few prospects at this year’s game that have already made their post-secondary commitments, however the majority of the field is here to showcase their talent for an audience of scouts that will be in the building for the game. There are also a number of athletes who still have a couple more seasons of high school eligibility, giving scouts an early look at future stars. 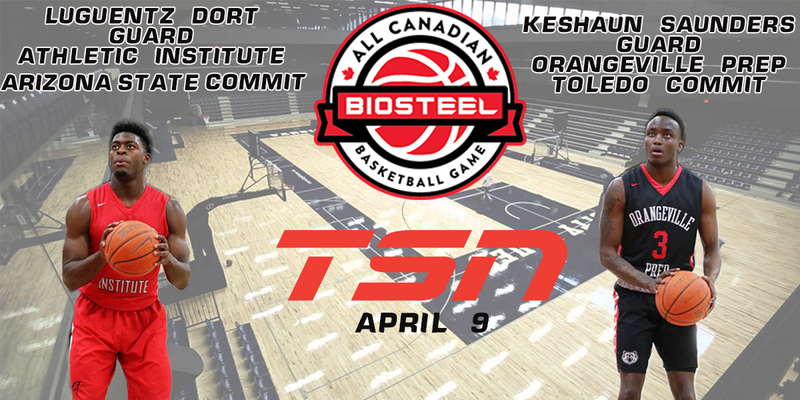 The weekend at the All-Canadian Game consists of not just the showcase game itself, but also the athletes will have the opportunity to take part in various on-and-off court training from Canadian coaches and trainers, community outreach initiatives, and skills competitions prior to tip-off on April 9th. Written on 2018-03-21, in News.